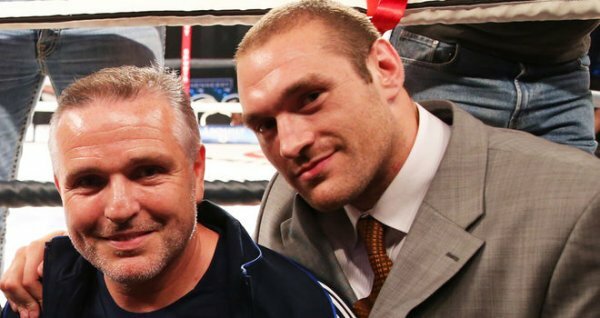 The heavyweight scene in the UK is a mixed bag. At the very top level the likes of Tyson Fury, Anthony Joshua and Dillian Whyte hog the headlines. Lower down the rankings are some older familiar names; the likes of Michael Sprott, David Price and Dereck Chisora fill the positions. There is one name that sits just outside the top ten that is ready to make his assault over the next 12 months and he’s already set some solid foundations. Meet Nick Webb. It is a clinical perspective from the 28 year old who has only been in the professional sport since March of this year. He finished his amateur career having reached a stellar level after six years in the unpaid ranks; an ABA finalist in 2013, on three occasions he met the current English heavyweight representative Joe Joyce and lost on each. So was Joyce part of his decision to become a professional? “I had four GB trials to get on their podium squad and it wasn’t going my way so I thought I had done all I could as an amateur. It’s fair to say Joe always got in my way!” laughs Webb. There were various doors open once Webb decided to make the step to being a professional and the one he chose to step through was that of Frank Warren. 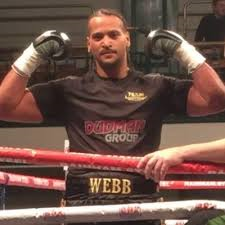 There are not many fighters that get the opportunity to sign with one of the biggest promoters as soon as they turn over but for Webb, he had not only his amateur pedigree but also another secret weapon – the former British and Commonwealth heavyweight champion Scott Welch. Since retiring himself from the ring Welch has been involved in various projects including business ventures and training fighters. So what is the relationship between Webb, Warren and Welch? 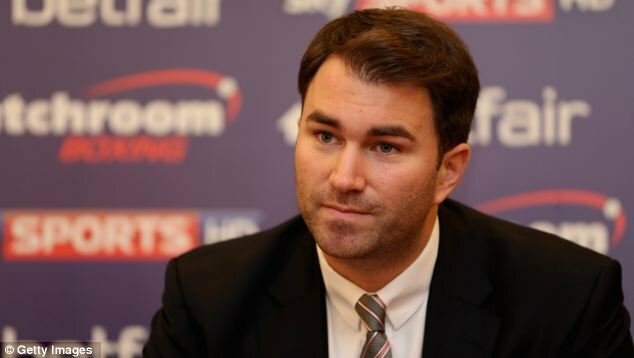 There was a natural link in place already between Welch and Frank Warren, as it is the veteran promoter who guided his career. It was this relationship that helped Webb take the leap of faith in picking Warren to guide his career. A meeting with Andy Ayling, Head of Events at Warren Promotions, resulted in immediately putting pen to paper and the first step on his path to professional titles. 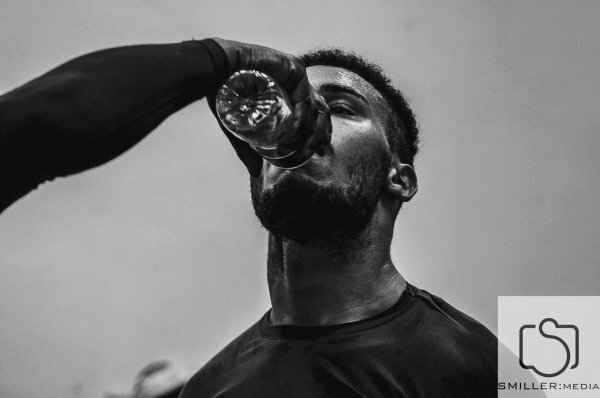 One concern often lodged against Anthony Joshua is that although knocking out every opponent looks good and builds a fan base it is also a risk that fighters aren’t learning anything in the process and aren’t able to test out their gas tank in the later rounds. Is that something that bothers Webb? “As Scott would say, I don’t get paid for overtime. 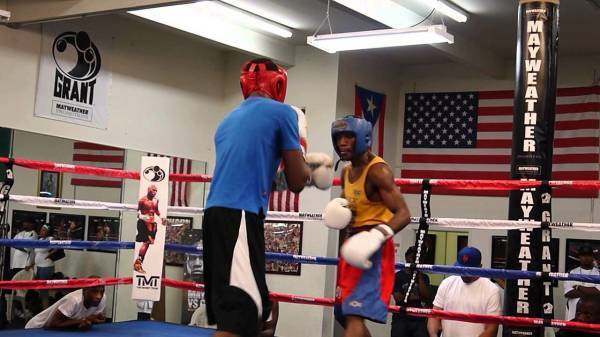 I get good sparring at the gym and as long as I get the rounds in there then I’m happy. I know I can go the distance, in the amateurs I had fights that went further and I know fitness wise I won’t have any problems. I’m happy getting people out of there early!” he tells me with all the spite you would expect of someone who is making a name for himself as a knockout artist. His next opportunity will come on October 29th at the Park Lane Hotel in Mayfair against an opponent who is yet to be announced. That is familiar territory though for Webb who only found out his last opponent at a weeks notice. In the meantime he is plotting a busy end to this year, intending on ending 2015 with a record of six wins and no losses. It would mean fitting in the fight on the 29th plus two more through November and December. A tough ask for a lot of professionals, but is upcoming fight will be his second in this calendar month. It would be a shame to waste the training camp for less that two minutes of in ring action I suppose. With such a rapid succession of knockouts Webb has seen himself rise quickly through the British rankings and currently stands 16th in the heavyweight division. “I see myself being in the top ten in the next six to eight months” he tells me with an air of certainty about the prediction. If that is the case then he can start to plan an assault on the names at the top of the division – what would be the dream outcome for him? “Joshua is doing really well and I would love him to win a world title and then be the one to challenge him in the future. Dillian Whyte’s a tough guy but I think he’s too easy to hit, with Joshua’s bombs he’s likely to catch him and that’ll be the end of it” is his prediction for the London showdown in December. Webb is building a fearsome reputation for someone so early into his career. To date the majority of his work has been seen behind closed doors as opponents have crumbled before the first round has been seen out so it is hard to gauge how far he will be able to go. With the British scene wide open for another name to join the trio of Joshua, Whyte and Fury at the top of the tree Webb may be positioning himself at just the right time over the next 12 months. Webb wished to thank his sponsors the Dudman Group in Brighton as well as Prime Gym who allow him use of their facilities and are proud supporters at his fights.